Bisphenol-A (BPA) is a chemical that is widely used to line food containers and beverage bottles. Many other types of products also use BPA in their manufacturing processes making it pervasive in the environment. The Food and Drug Administration (FDA) tested the safety of human contact with BPA and found that BPA is safe in its current application as a food and beverage packaging material. The FDA also concluded that BPA may pose a health concern for infants or others with low body weights and recommended that it be removed from bottles. In May 2015, BPA was added to the Proposition 65 list by the Office of Environmental Health Hazard Assessment (OEHHA) as a chemical known to cause reproductive toxicity. OEHHA adopted an “emergency” regulation before the effective date for the BPA warning requirement in May 2016. The regulation provided that food and beverage companies could conform to Prop 65 regulations by allowing BPA warnings to be disseminated for products sold in cans or bottles for retailers in the state at the point of sale. The interim rule, which was adopted in December 2016 in place of the emergency regulation, continued to authorize warnings for point of sale purchases until December 30, 2017. 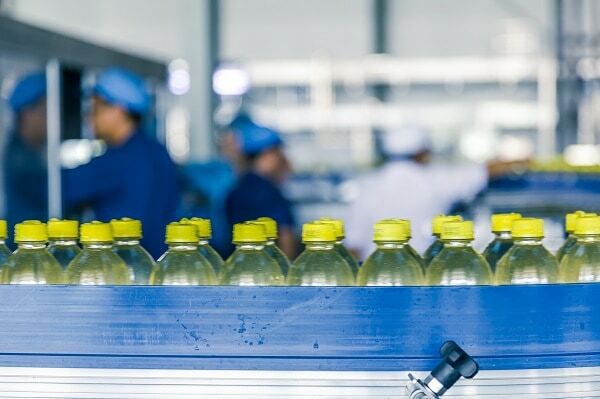 The interim rule also mandated additional reporting requirements for food and beverage products that used BPA as an additive in their goods and provided manufacturers with additional time for switching to liners that are free of deliberately added BPA. The interim rule elapsed in December 2017. Beverage and food companies whose packaging materials still contained BPA were left with uncertainty about their compliance obligations. These businesses had to refer to Prop 65’s safe harbor warning provisions in the absence of explicit regulations for BPA warnings. Of course, these regulations will be more difficult to comply with following the amendments that become effective in August, 2018. Until then, in light of the expiration of the interim rule, beverage and food companies selling products not intended for immediate consumption on site can either: (i) use the generic warning alerting consumers that the product contains chemicals known to cause birth defects or other reproductive harm with the word “WARNING:” preceding it, or (ii) use the same warning message as a shelf sign at locations where the product is sold. For products manufactured after August 30, 2108 that contain BPA and are not intended for immediate consumption on site, companies can comply by: (i) using a warning statement displayed within a box that reads that consuming the beverage or food can expose the consumer to BPA, which is known to cause birth defects or reproductive harm with the word “WARNING:” preceding it and directing consumers to visit www.P65Warnings.ca.gov/food for further information, or (ii) placing this information on a shelf sign where the product is sold. Could the Interim Warnings Still Be “Clear and Reasonable”? Prop 65 requires businesses to provide “clear and reasonable” warnings for exposures to listed chemicals. The new safe harbor warning regulations establish the warning text and method of transmission that are deemed “clear and reasonable” as a matter of law. However, those safe harbor regulations are not mandatory. Although it would behoove businesses to comply with them, it is certainly possible to provide warnings using different text and methods of transmission – as long as the warnings are “clear and reasonable” within the meaning of the law. It is hard to believe, that at the stroke of midnight on December 31, 2017, that the interim BPA warnings suddenly became unclear and unreasonable, when they were deemed compliant with the law for the previous two years. Should a business rely exclusively on those interim warnings, even now? No. But could a business use such warnings to defend itself in an enforcement action? Definitely maybe.